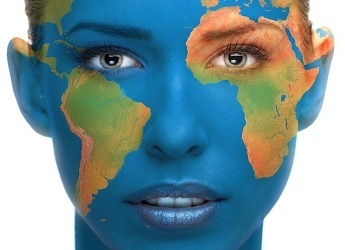 Hands For Life travels the world sharing the message of where true health resides. Many people have NO IDEA their bodies are designed to be healthy. They were never told there is an INTELLIGENCE within them that controls every system, organ, tissue and cell, and that same intelligence that created them from a sperm and an egg is still within them today. They were never told the body is a self healing, self regulating entity. They were never told the importance of their NERVOUS SYSTEM and how it is the MASTER CONTROL system in the body. Hands For Life doctors fly around the world, teaching people the importance of a properly functioning Nervous System and Spine and how that relates to a healthy body. Through our Partners, we are blessed to be able to take care of children, orphans, recovering drug addicts, and families that live below the poverty line and don’t have access to any forms of health care. In addition to traveling the Globe, Hands For Life Doctors work in the Inner Cities, Houses of Refuge, Women and Children Shelters, offering their services to those who cannot afford to take care of themselves. Our bodies are made up primarily of Water. Water is one of the most essential ingredients to keeping us alive. Yet, throughout the world, far too many children and families have limited access to clean drinking water. 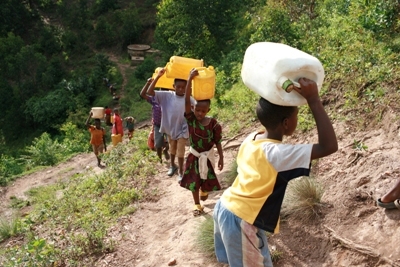 In areas around the world, kids have to walk long distances just to get a chance to pump their own water. Others fetch water from nearby watering holes, where unclean water causes all types of body dysfunctions and sickness. Wouldn’t it be great to build Water Wells, Biosand Filters, Rain Tanks, Create Protected Springs, Start Water Committees and more, so that a “Sustainable Future” can be an achievement and not be just a Buzz Phrase. No child should ever go to bed hungry. 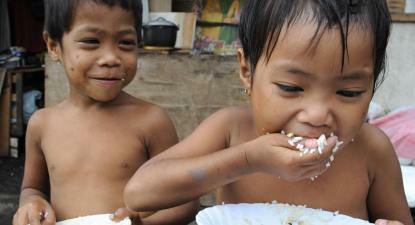 Did you know 1 out of every 7 children is hurt by hunger? The #1 reason kids are hungry in the U.S. and around the world is POVERTY. 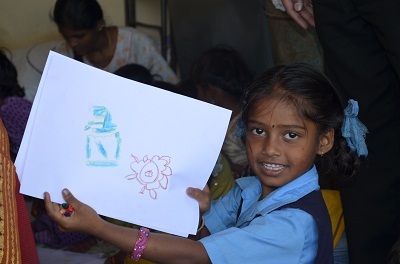 How can we help end Hunger? Simple, we must all work together to break the cycle of poverty, and provide food, solutions to sustainable growing projects, and to educate the ones affected so they can learn to feed themselves responsibly and regularly. No child should ever go to bed hungry, and Hands For Life is partnering with organizations around the world to Stomp Out Hunger. Care to join…you make all the difference in the world!! Health Fairs Hands for Life will coordinate and arrange Health Fairs for local businesses and their employees. We work with local doctors to create a fun and educational environment where individuals can learn about available health options, providers in their area, ask insurance questions, and even receive services such as flu shots, spinal screenings, and more. These events are customized to the business and can be designed to complement company Wellness Programs, or to launch healthy initiatives. Massage Events Hands for Life staff will go to local business locations and provide free 10 minute chair massages for individuals on site. The massages are a quick, easy way of telling employees that they are appreciated while also providing information on chiropractic, stretching, massage, and other techniques that can improve the bodies natural defenses. We will also bring in additional information on Hands for Life and will provide vouchers for a free chiropractic consultation and exam, when available. Presentations, Seminars, and Lunch and Learns Dr. Grover and Dr. Ali are available for presentations and seminars regarding chiropractic health, upper cervical well being, and a variety of other subjects. The most popular presentation to date is a Headache Seminar that provides information on common causes of headaches and how to treat and prevent them. These seminars are tailored to the needs of the group or business being presented to and can be aligned with company goals and initiatives. Like presentations and seminars, Lunch and Learns focus on providing education and information tailored to business or group needs. In addition, they include lunch with the doctor(s). Spinal Screenings Hands for Life staff will come to your location and perform spinal screenings. These screenings help to detect common problems, such as scoliosis, weight imbalances, lack of alignment in the body and more. Recommendations for doctors appointments are provided based on the findings, and additional literature and recommendations are provided as well. The goal of a spinal screening event is to identify any problems and to educate on the importance of posture and alignment. With all of these new opportunities becoming available, we hope to help local businesses and expand the Hands for Life mission – to provide education, chiropractic care, and clean food and water to those in need.